Brian McLaren: In a “Prophet” Category all by Himself? I recently had the great privilege of a full day hearing from and interacting with the unique and wonderfully provocative speaker and author, Brian McLaren. That was a week ago and I have no idea why I didn’t choose to blog about it, or really think much about that until just now. 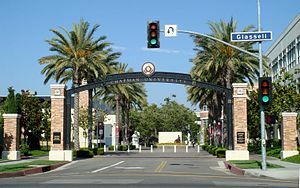 At this site you will find many Powerpoint presentations he’s made available; the ones marked “Chapman” are from the conference last Friday/Saturday (3-15, 16) at Chapman University, Orange, CA, as part of their Founders Day annual event. As a personal aside, it was my first time at this event or, since my own college days, at the growing Chapman campus. Both I found to be delightful. I recommend to everyone that you drop by the very welcoming campus, when in the vicinity, regardless of your religious affiliation, or lack of one. Or, better yet, that you plan to come to their next Founder’s Day event, March 14-15, 2014, which will feature the popular author, emeritus professor and member of the Jesus Seminar, John Dominic Crossan. Chapman was founded almost a century ago by the Church of Christ (Disciples of Christ), and is now co-sponsored also by the related “Progressive Christian” denomination I’ve recently joined and seek to support, the United Church of Christ. The school has matured into a prestigious yet warm and “homey” university offering a high quality education, Bachelors degrees as well as numerous Masters programs and a law school. “What Brian does” is hard to categorize itself! I don’t recall if he has a favorite self-description for what he considers his role and mission. But my sense is that he is a sort of modern-day prophet, in both his role we might call “futurist”, and in “speaking truth to power” as prophets are wont to do. But that “power” is not restricted to either secular or sacred power…. He manages to challenge both about equally, it seems to me, but without getting directly “political” or partisan. Some of his challenges are to stay open, keep learning, be genuine and alive, follow Jesus “in spirit and in truth”, not in either legalistic rules and customs or in rigid words or concepts of dogma (theology). Brian is one of only a handful of people I know of who are widely read and regularly invited to speak in a broad range of churches and religious settings from Evangelical to Progressive Christian to interfaith gatherings. I’m still trying to figure out just how he manages that when there is still a frustratingly wide chasm between the differing camps on many issues, social, political and theological. Often the differences amount to contrary positions and postures. Brian is not by any means naive as to this. I highly respect his attitude and the skill he uses to be able to contribute and inspire among so many groups. By example and through much that he directly teaches he is able to help many Christians live out the most fundamental values on which they agree, often more than they realize. He helps us focus on the “issues beneath the issues” in a similar way that a counselor helps a couple step back from the conflict on the surface to understand that what they may really be fighting for is greater intimacy and the ability to work together. I suppose I appreciate Brian a lot because this is my intention also. Do you have a comment about Brian’s work or about the point of his work as I’ve described it? ← Who Do We “Send” to Hell and Why? Cool, Joe! And please “report in” here. Some of Brian’s recent books I’ve not read either and would love to hear your thoughts and reactions. But what I have read has always been interesting, enlightening and often inspiring, even when sometimes not fully aligned with my own theology.